Corsages can be saved as keepsakes to allow you to remember a special occasion. There are multiple ways to preserve a fresh flower corsage. Pressing your corsage is one of the easiest methods because it requires no special equipment or products. You can also leave the corsage intact while pressing it, eliminating the need for reassembly. Your pressed corsage can be kept in a scrapbook, photo album or picture frame to look at often. Pressed corsages can be displayed in many creative ways. Place a 1' by 2' piece of cardboard on a flat surface. Cover the cardboard with three to four sheets of newspaper. Place one piece of tissue paper on top of the newspaper. Place your corsage, right side up, on the center of the tissue paper. 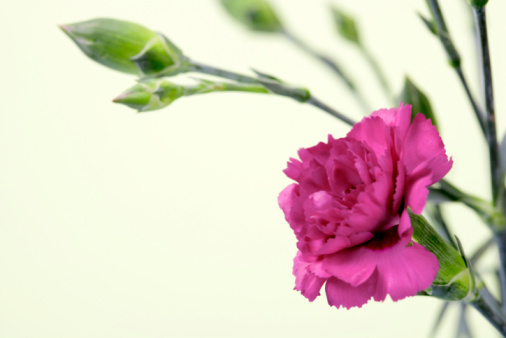 Gently spread the flowers apart so that no flower is resting directly on top of another flower. You can gently bend the wire at the base of each flower to keep it in position. Place a second piece of tissue paper on top of the spread corsage. Cover the second piece of tissue paper with three to four sheets of newspaper. Place the second piece of cardboard over these layers. Stack two to three heavy books on top of your homemade corsage press. Make sure the books are centered on the piece of cardboard. Remove the stack of books after two to three weeks. Gently remove the top layers of cardboard, newspaper and tissue paper. Touch the flowers softly to check for any dampness. 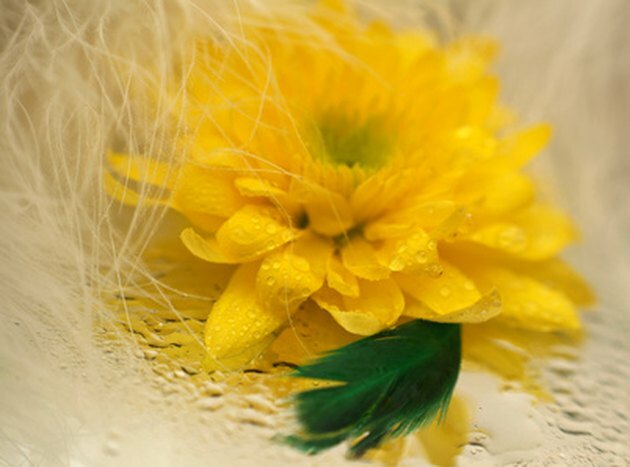 If any of the flowers still contain moisture, your corsage needs more time to dry. Cover the corsage with a new piece of tissue paper and replace the newspapers. Place the piece of cardboard on top and return the stack of books for another week. Remove your corsage once it is completely dry and flattened. Store your preserved corsage in a photo album, scrapbook or picture frame.